Pharmaceutical companies in Hyderabad are huge in number. In South India, we find Hyderabad is the hub of pharmaceutical companies. A lot many companies have been planning to set up their manufacturing plants in Hyderabad. Telangana government is focusing on developing a pharmaceutical hub in Hyderabad after bifurcation from the Andhra Pradesh. The Telangana government has declared Pharmacy and IT as the top two priority sectors. Manpower Resources are also been transferred there for rapid progress. It is also known as “Genome Valley of India” and India’s pharmaceutical capital due to the abundance of pharma companies. It supports its economy and ultimately backs India. In Hyderabad, most of the Pharmaceutical companies are FDA approved having an international reputation of Dr Reddy’s Laboratories, Shantha Biotech, Aurobindo pharma etc. The pharmaceutical sector is growing with the pharma companies in Telangana exponentially. Bapuji Electrical &Chemical P Ltd.
Bhavishya Pharmaceutical s (P) Ltd. Dedicated Batalactum Formulation Facility, 8- 20, Sy. No. : 296/7/11, Bollaram, Hyderabad. 126/2 Rt, Sanjeeva Reddy Nagar, Hyderabad. 6 – 3 – 597/11, Sai Nath Apartments, Venkatramana Colony, Khairatabad, Hyderabad. Dey’s Medical Stores (Mfg.) Ltd.
1- 1- 336/19 Viveknagar Chikkadpally, Hyderabad. B- 11 Industrial Estate, Sanath Nagar Hyderabad. 33, Svcie, Ida, Jeedimetla, Hyderabad. Elegant Chemical Enterprises Pvt. Ltd.
EspiIndustries & Chemicals Pvt. Ltd.
A Block, Huda Complex, Tarnaka, Hyderabad. 2- 1- 460/1, Nallakunta, Hyderabad. Plot No.5- 35/196, Prashanthnagar, I.E. Kukatpally, Hyderabad. Sy No 395/A9/1 Donthi, V Shivampet, Hyderabad. Golden Streek Drugs And Pharma (P) Ltd.
4- 77/1 Sjreet 8 Habszg Voa, Uppal Myderabad, Rangareddi, Hyderabad. 83, Apie Sanathnagar, Balanagar, Hyderabad. Plot No. 41 & 44a, Anrich Industrial Estate, I. D. A. Bollaram, Medak Dist Hyderabad. 135 / A, Khaitan Fan Road, Ida Bollaram, Miyapur, Hyderabad. Jur Fine Chemie (P) Ltd. Plot No.78, I.E. Medchal , Distt. Rangareddi , Hyderabad. Plot No.14, S.P.P biotech Park, Turkapally, Hyderabad. Kethaki Health Care Products Pvt Ltd.
5- 247/2 Karmanghat Saroornagar, Rangareddi, Hyderabad. 16- 11- 41/A/3 Moosaram Bagh, Hyderabad. Plot no. 11, 12 And 13 Centralpark Kompally, Distt. Rangareddi, Hyderabad. S- 5 (Ist Floor) Phase- II, Tie Balanagar, Hyderabad. Plot No 54 A&B; Aie Bollaram, Jinnapur, Medak. 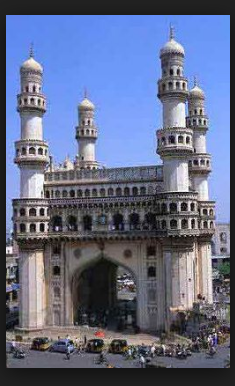 Hyderabad. IDA Pashamylarem, Isnapur , Patancheru, Medak Dist, Hyderabad. Kondapur Sirilingampally, Distt. Rangareddi, Hyderabad. 8- 90/1, IstFloor Gautam Nagar, Ferozguda. Hyderabad. 145 Phase V I.D.A. Jeedimetla, Hyderabad. 49, Bhel Enclave, Akbar Road, Secunderabad. No.530 & 534, Bonthapally, Hyderabad. Medak. Plot No.63, IDA, Pasamailaram, Hyderabad. Plot No.83, Shaktipuram, Prashanthinagar, Hyderbad. For Indian pharmacy students, companies directly hire students who prove their skills in pre-placement programs. Hyderabad provides opportunities to gain on-site experience that further help them grow as professionals. In the list of top pharmaceutical companies in India, the MNCs are becoming the ace pharmaceutical investors pushing back the Indian companies. Also, firms in India are acquiring the small companies and collaborating worldwide for further expansion of the market. The products that are highly rated include tablets, capsules, syrups, pharmaceutical drugs injections manufactured by the pharmaceutical companies in India along with many more.